I was giving a lot of attention to the concept of Radical Will. Sometimes I believed despite what the doctors said, you needed just to stop and quit the anorexic behavior quick, and without question. This would not be possible for people with long standing trauma. Because there are so many roles that the causes of anorexia play, there is going to be some people who either get caught up in the system, or they utilize Radical Will with their medical team, and get them away from this insidious disease. I know when I was thinking about leaving Walden, and putting together my own team “Corey.” I knew that it needed a couple of things for it to work, like medical professionals who don’t play the blame stigma on the anorexic patient. I had been a victim to self-blame by the entire counseling staff at Walden. They believed we didn’t want to get better, so they blamed us for our poor healthy indirectly or sometimes quite directly. It was a very sad situation to watch, and the person who suffered are the anorexic patients, they are so just stuck in their heads. Thinking about doing everything right, to not be the perfect anorexic no more, was a form of twisted thought processes. Sure take the anorexic with perfectionist tendencies and blame them for their decision or the decision to get better. 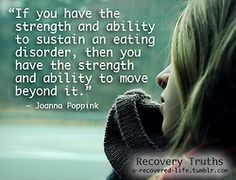 I do believe in the process of recovery, the anorexic patient might be able to take an honest look at themselves and their dysfunctional behaviors to match. However this is all so patient specific and to use a manual like I have seen utilized by anorexic care providers, is just short of insanity. I knew my days were numbered, and I would be getting home for Christmas, however my family was not going to be happy if I did not have a solid plan in place to continue extensive out-patient therapy. I spoke to my primary care, who suggested I needed an endocrinologist, a nutritionist, a counselor, and lastly the biggest part, an eating disorders therapist. I knew I could coordinate the other positions, but I was at a loss for an eating disorders therapist. Finally while working at Walden to get my team in place, and appointments set up, my nutritionist knew of a single eating disorders therapist in the area. I called her and left a most pathetic message. She called me right back and had a two week waiting list, so I took her next available appointment, and with that I reported back to my primary care and Jane, the medical director. I left Jane’s office just a bit deflated, there was nothing she was going to give to me. However what I felt, was a lack of concern for me, if I didn’t follow the Walden way. This wasn’t about egos, whose way works better, no two anorexic patients are a like. I thought she would be happy that I made all the appointments and got things up. I guess when you are too close to a problem, its hard to step back and see it in other ways. I just had to hold tight to what I had thought through and what was my best chance at surviving…no it wasn’t in and out of places like Walden for my life. I needed a Radical approach to this problem, and I couldn’t have my hand held every step of the way. If my caregivers didn’t want and really truly want to see me beat this, instead of establishing a relationship with them for life, they were not the right people to help me in anyway. The name of this game called life, is getting to be independent and thriving on your own without the help of a daily third party. I was still spooking myself out with my obsessive body checks, just to make sure I was not gaining too much weight. I realized everything abut me, was my way or the highway, I wasn’t very tempered in my choice of decisions. I had put a lot of work into this Radical Will concept, and knew when I got out of here I would do a bunch of research, and document my journey well. Hopefully it would lead to helping at least me, I prayed more, but there is no guarantees. before. My eating disorders therapist was named Pam, and I was so excited to meet her. I laid done on my bed, dinner was a couple of hours away. I was going to do some active meditation, to practice my Radical Will approach. I got out the pad and the pencil to boot, there would no doubt be many laughable moments in my journey to well, and that in itself really excited me.